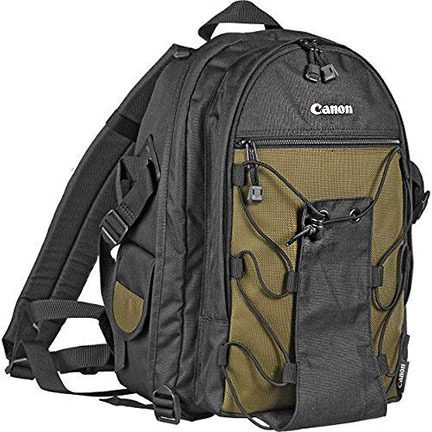 The strap-onto-your back Canon camera backpacks come with a variety of features and are very different than the typical shoulder camera bags that dominated the way photographers used to carry their equipment, accessories, gadgets and related photography equipment for many years. Innovations in design and features have been inspired by changes in lifestyle as well as the changes in photography that transpired when film was replaced by digital. 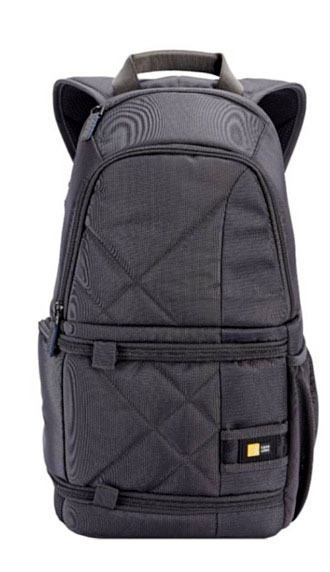 Backpack camera bags are for the active photographer who needs to carry a significant amount of cameras, lenses, accessories and other gadgets in a comfortable way while protecting all of their equipment. Before looking at specific backpacks, it would be good for you to make sure that a backpack is the right style of camera bag you wish to use. When I do location portrait photography, the standard shoulder bag has always a more logical choice. Shoulder bags are good for carrying your equipment for short distances and setting your gear down on the floor or grass. This gives youe easy access to all of your camera bodies, lenses, cable releases, and Canon Speedlites. 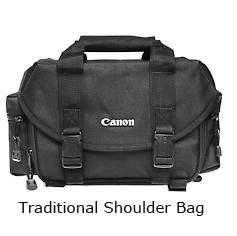 Unless you have a need to proudly boast that you are a Canon shooter, or perhaps you work for Canon, there is simply is not need to buy a genuine camera backpack that's made by Canon. There are literally thousands of alternatives. 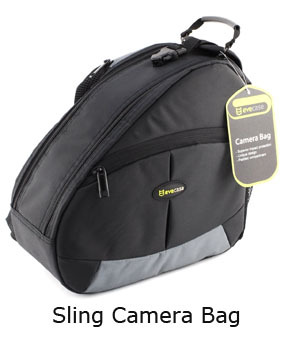 The two biggest areas of complaints you will hear about camera bags in general are centered around their 1)size and 2)the durability of the straps and zippers. You can get backpacks in a variety of sizes and that is something important for you to pay attention to. Usually you know what you are going to store in them ahead of time and you can get a good idea on what will fit by carefully reading the dimensions and the descriptions of each bag. Full-sized backpacks hold a lot more camera gear than the majority of shoulder and sling bags but there are exceptions. 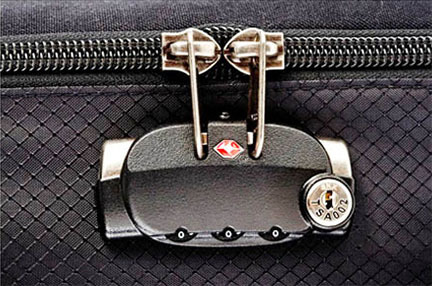 Straps should be high quality themselves and stitched securely into the structure of the bag. Zippers are often over-looked as an important aspect of the backpacks utility. I purchased a Lowepro Shoulder bag many years ago and two of the zippers went bad on me. Part of the breakdown was the quality of zipper used and part of the cause was me overloading the compartment which put a lot of stress on the zipper. It would be foolish of me to attempt to tell you the very best place to shop for the best camera backpack for you. There are too many variables. On-line shopping is growing by leaps and bounds and it is likely that you are probably comfortable with doing at least some shopping on-line. You have at your disposal a free library of review information available, far more than you could access in a lifetime, just on camera bags alone, on the internet. I am an affiliate of Amazon which means I get a little thank you from Amazon when I help someone like you find the right equipment. More importantly to you though, no matter where you shop, is how good a research tool Amazon is for you. You can read the reviews that other buyers have written, both positive and negative. I do a simple numerical computation that helps me come up with a real number to help me compare any camera equipment or accessory I buy. You can add the number of 4 and 5-star reviews and divide them by the total number of reviews given for that product. What's a good result you should look for? Anything in the mid 90% range is exceptional, for a Canon camera backpack or anything else for that matter. Usually buyers of a product are more likely to take the time to write a review when they are unhappy with a purchase. When you have a very high customer approval rating, it is a real good sign that a large majority of consumers were happy with their purchase. Camera bags and backpacks are almost like buying clothing for some people. You have to try it on and see how it feels. maybe you're like me and you like to shop while sitting in the comfort of your own home. If you don't have a large camera store near you with a large variety to choose from, make sure your on-line source has a good return policy. This gives you the opportunity to buy it, try, and return it if you don't like it. Good luck in your research on Canon camera backpacks.